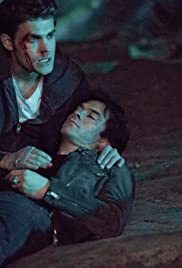 Damon and Stefan join forces against Cade to protect Elena's casket, while Caroline and Alaric cope with their daughters' growing powers. One of the top 10 episodes of the series with epic moments from start to finish. Spoiler alert Damon,Stefan and Bonnie really shine in this Kai Alaric and Carolines scenes were good and don't get me started on the stuff with cade and the ending I miss this show... always a good one to watch overall I give it a 10 ... Now if you're reading this and you haven't watched the episode yet then go watch it now ! !